The Independents’ Film Festival in Tampa! Happy Friday Everyone, Alex here to let you know about a film festival coming to Tampa in a couple of weeks! 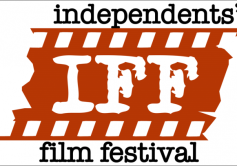 Below is a schedule of events for the Independents’ Film Festival. FREE Award Winning Feature Film, the ah of life with Treasure (Ringling Animation) 9- 10p.m. Tour of Tampa Digital Studios. Free, requires Reservation. 11a.m. Screening #1: 6– 7:30 p.m. Screening #2: 8 - 9:30 p.m. Screening #3: 10:00– 11:30 p.m. Screening: #1: 10:00 – 11:30 a.m. Screening: #2: 12:00 - 1:30 p.m. Screening: #3: 2:00 pm – 3:30 p.m. Awards and Filmmaker Q&A: 9:35 p.m. Taste of Independence Party: 10:00 – 12 p.m.
Visit the Independents’ Film Festival website, http://independentsfilmfest.com/, for more information on particular screenings and events. Have a wonderful weekend and check with us often for more updates on Tampa Bay Film!